Adapted from a recipe for cookie press cookies from Martha Stewart: I subbed in Earth Balance for butter and canola oil for egg yolks (2 tablespoons of oil per each large egg yolk the recipe called for). 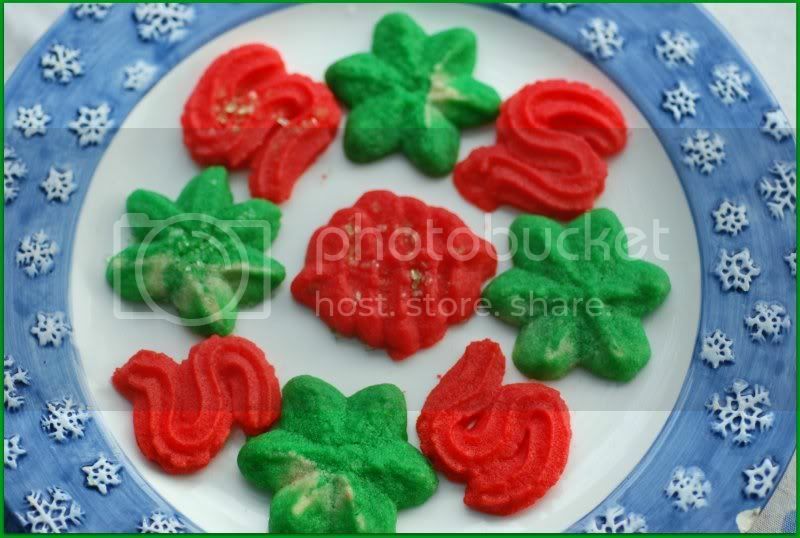 To make the dough festive, I divided it in half and mixed in green food coloring to one half and red food coloring into the other half. 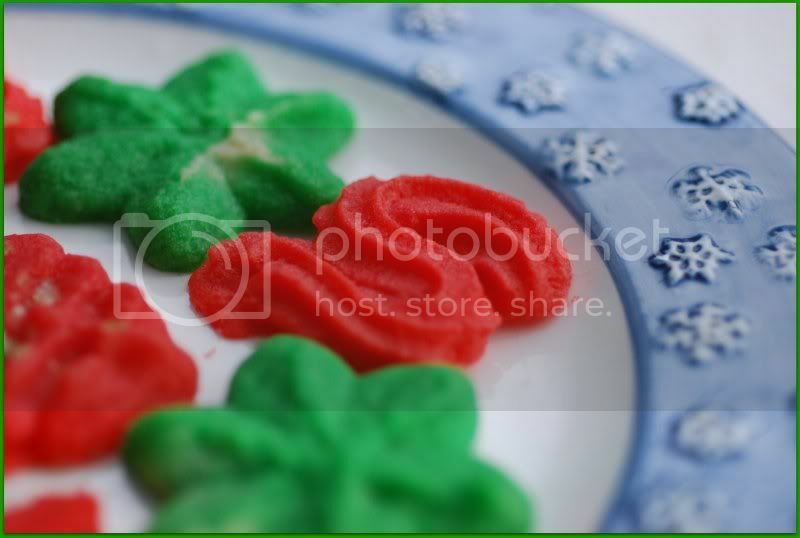 I topped the cookies off with some sanding sugars before popping them into the oven.